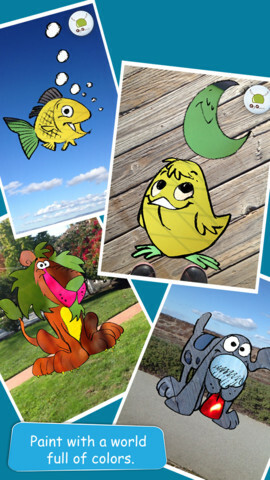 EyePaint Animals is FREE again for a limited time. This educational app let your child paint illustrations from Japanese artist, Mitsue Haya, in a very unique way. Kids “paint” using their cameras to capture the colors, textures, patterns around them. To begin, a child chooses one of the 10 included illustrations. He/she taps to select the area to be filled in and the creativity begins! Work can be saved to the photo library for sharing or printing. Easy, fun, and very creative! !